Katherine O’Gorman was presented with a recognition certificate by the Oswego City School District Board of Education President Kathleen Allen and Interim Superintendent of Schools Gary Mix. 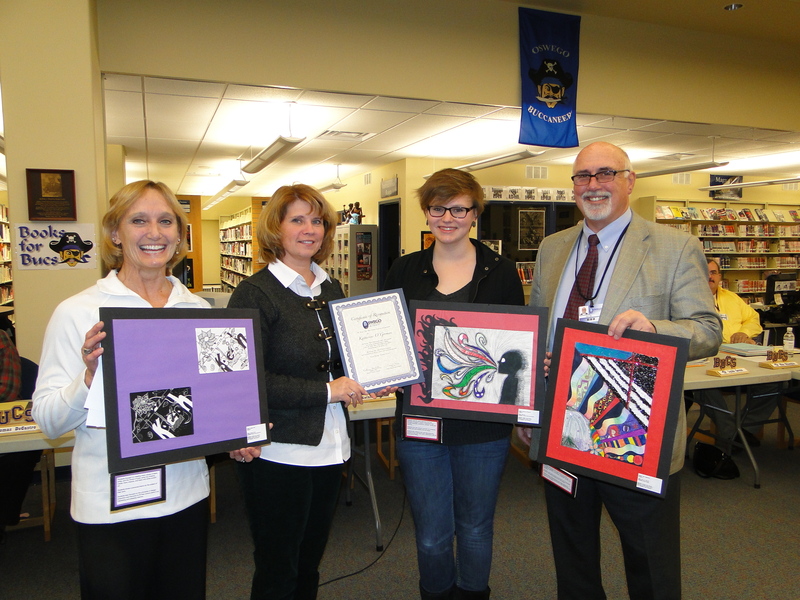 The Oswego High School ninth grader created the work while working with Oswego Middle School art teacher Linda Shannon (left) and her piece was chosen for display at the New York State School Boards Association Conference in Rochester. 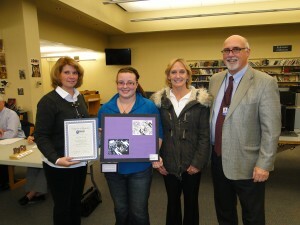 Kaleigh Laird was presented with a recognition certificate by the Oswego City School District Board of Education President Kathleen Allen and was joined by Oswego Middle School art teacher Linda Shannon and Interim Superintendent of Schools Gary Mix. The Oswego High School ninth grader created the work while at the Oswego Middle School and her piece was chosen for display at the New York State School Boards Association Conference in Rochester. Julie Tepfenhart also had her art work on display in Rochester, but was unable to be present for the board recognition.